From day one of the Think Forward training at Manor New Tech High School I was hooked. I was part of the first cohort of this now highly rated program in 2009. Since then I have been implementing a project-based learning curriculum in my classroom. 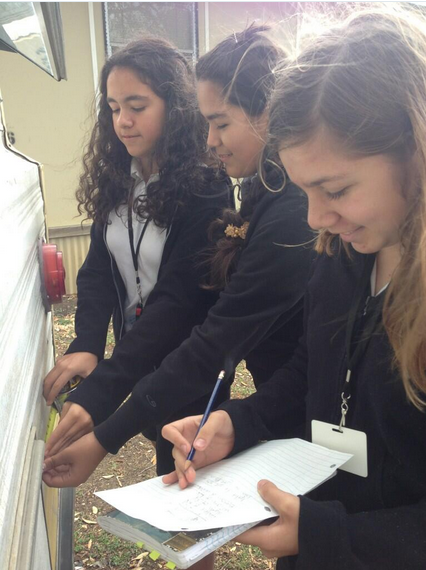 Students learn science by solving real world problems in a hands on, collaborative, technology based environment. In 2013, my colleague, Ana Josephson, and I presented about a particular project we collaborate on, called Project VENTURA, at the National Conference for Girls Education. Read more about it here. Project-based learning fits my constructionist learning philosophy and enables my students to be creative, critical thinkers. Now that we are making, I see students applying knowledge from other subjects into projects. Nothing exercises math and spacial reasoning like engineering! Due to my push for this kind of learning with my students, enrollment in 9th grade engineering pathway courses has tripled for 2015-2016 school year.